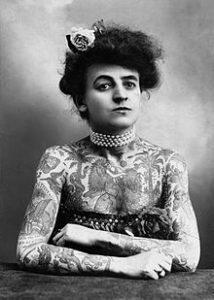 did you know tattoos have been around since 12000BC and are still banned in many countries? The word tattoo comes from the Tahitian “tatu” which means “to mark something.” It is arguably claimed that tattooing has existed since 12,000 years BC. … Tattoos around the wrist and fingers were believed to ward away illness. Throughout history tattoos have signified membership in a clan or society. Tattoos were probably also used in ancient medicine as part of the treatment of the patient. In 1898, Daniel Fouquet, a medical doctor, wrote an article on “medical tattooing” practices in Ancient Egypt, in which he describes the tattooed markings on the female mummies found at the Deir el-Bahari site. Tattooing was banned in the five boroughs in US in 1961, after a Hepatitis B outbreak. It wasn’t legal again until 1997. But for 21 years before it was legal again, people were tattooing illegally from their own homes, garages, lofts. It was still very popular and business was a word of mouth operation. However, this doesn’t mean to say every other country around the world shares such tolerance of legalising tattoos. Tattoo laws in Dubai make tattooing illegal and visible tattoos usually have to be covered in public. UAE Islamic dress code policy will not penalize foreigners for getting tattooed. … Also, tourists can be banned for life if their tattoo is offensive under UAE federal law.